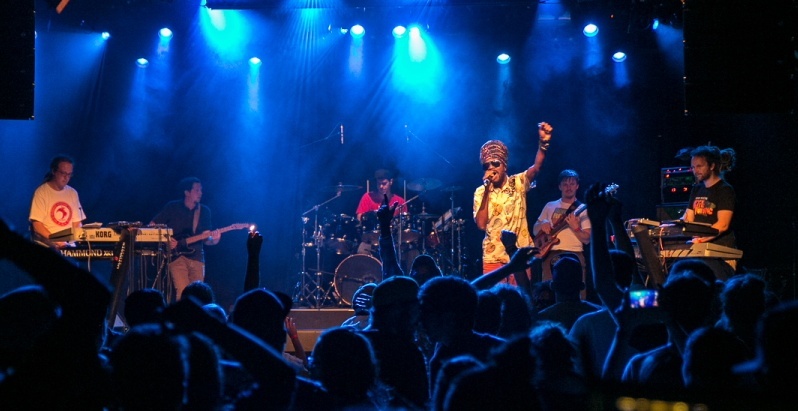 Roots reggae, dancehall, lovers rock, rock steady – Boomrush Backup are well-known for their versatility in playing different styles. Since late 2006 Boomrush Backup work as a backing band for reggae and dancehall singers. They have already worked together with lots of national and international artists like Spragga Benz, Jah Mason, Perfect Giddimani, Bugle, Ranking Joe, U Brown, Randy Valentine, Cali P, Natty King, Norris Man, Torch, Ganjaman, Uwe Banton, D-Flame, Dr. Ring Ding, Mellow Mark … and support newcomer artists as well. Boomrush Backup played shows on festivals and in clubs all over Germany and in Lithuania, France, Switzerland, and Austria, i.e. at Reggae Jam, Summer Jam, Ruhr Reggae Summer, and Chiemsee Reggae Summer. Boomrush Backup form a musical base for their singers which is widely appreciated by promoters, artists and last but not least by the reggae massive. In this playlist you can find some live footage from Boomrush Backup. Here you can get an impression of their work. Here you can find the next live dates for Boomrush Backup.